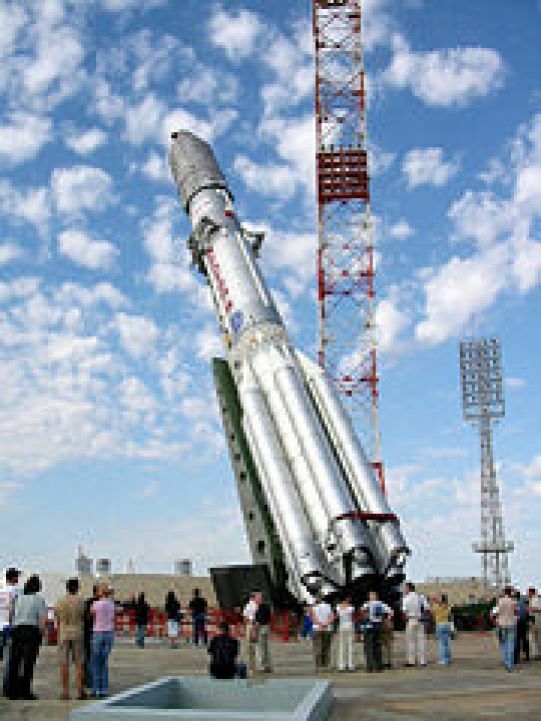 1955 The construction of the Baikonur spaceport was begun. 1995 21 years ago astronauts Toktar Aubakirov and Talgat Musabayev were awarded the title of "Khalyk kaharmany"
The construction of the Baikonur spaceport was begun. Baikonur is the first and largest spaceport in the world, which is located on the territory of Kazakhstan, near the village of Toretam. The construction of the Baikonur spaceport begun on January 12, 1955. After the collapse of the Soviet Union in the early 1990s, the spaceport was given to Kazakhstan. It is leased by the Russian Federation till 2050. 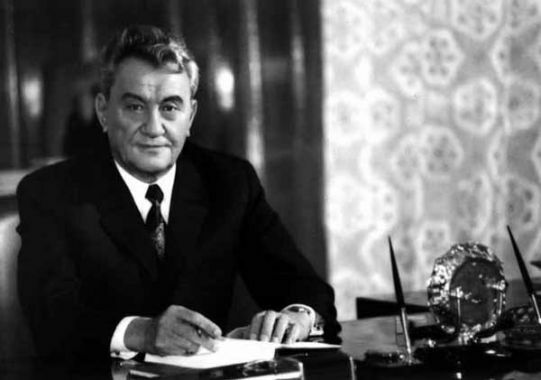 Kunaev Dinmukhamed Akhmedovich (1912–1993) was outstanding statesman and public figure, three times hero of Socialist Labour, doctor of engineering science, academician of the Academy of Sciences of the Kazakh SSR. Kunaev was born in the city of Verniy (now Almaty). He graduated from the Moscow Institute of Non-ferrous Metals. He worked as a machinist of drilling equipment, head of a workshop, chief engineer of a mine, and director of a mine of the Balkhash Copper-smelting combine. In 1936-1942 Kunaev held several senior positions at the Altai, Ridder and Leninogorsk mines. Vice-chairman of the Council of Ministers of the Kazakh SSR from April 1942 to April 1952, Kunaev was elected president of the Academy of Sciences of the Kazakh SSR in 1952. In 1955-1960, 1962-1964 he was chairman of the Council of Ministers of the Kazakh SSR. He held a number of senior leadership positions. 25 years of those 45 he was the first leader of the republic. Dinmukhamed Kunaev made a significant contribution to social, economic and cultural development of Kazakhstan. As a result of his policy, mining industry in Kazakhstan reached the highest levels, new industrial areas in the country were established, new cities and provincial human settlements were constructed. During the years of his leadership the following industrial centres started their work: Pavlodar-Ekibastuz fuel and energy complex, Karaganda provincial power plant-2, Bukhtarma hydro-power plant in Eastern Kazakhstan, Pavlodar tractor factory and many other industrial enterprises. Oil deposits in Mangistau were developed. There was an extensive development of railway construction in the country. Mining and production of titanium, magnesium, and synthetic rubber was started. Various sectors of electrical engineering, engineering and chemistry moved forward at an accelerated rate. Kunaev paid much attention to development of the Kerbulak Valley, construction of the Kapshagai water storage reservoir and the Larger Almaty Channel. At that period, Mangistau, Zhezkazgan and Torgay regions were established. D. Kunaev supported famous academic, cultural and intellectual figures. Under Dinmukhamed Kunaev in 1977-1982 a fundamental 5-volume scientific work on the history of Kazakhstan was published in Kazakh and Russian languages. He took effective measures to maintain existing territorial borders and integrity of the republic. He returned cotton growing areas in the south, which were given to Uzbekistan, opposed the initiative of Moscow to establish Germany autonomy in the territory of Kazakhstan and pass Mangistau to Turkmenistan. In the course of the years of his leadership, the capital of Kazakhstan Almaty became highly developed industrial and cultural centre. The Palace of Republic, Arasan Wellness Centre and Medeo Sports Centre were built. In 1985 Mikhail Gorbachev started reformation of political and economic system of the Soviet state. On December 16, 1986 at the extraordinary plenary meeting of the Central Committee of the Communist Party of Kazakhstan representative of the Central Committee of the Communist Party of the Soviet Union G. Razumovskiy reported on the decision of the Political Bureau to dismiss D. Kunaev. It was decided to appoint G. Kolbin the First Secretary of the Central Committee of the Communist Party in Kazakhstan. This appointment provoked explosion of popular frustration which resulted in the December events of 1986. The Central Government accused Kunaev in preparation of this political meeting. On June 26, 1987 D. Kunaev was excluded from the Central Committee membership. Dinmukhamed Kunaev was the third Kazakh who was ever appointed the First Secretary of the Communist Party. He was a person who trusted in the system, socialist choice and communist idea. He was the author of number of scientific works devoted to problems of construction of socialism and communism, theory and practice of open-pit exploitation of deposits (around 200 papers in total). Kunaev has been awarded eight Orders of Lenin, orders and medals. 10 years ago the first Animal Genetics Studies Laboratory in the country was opened. It was established on the basis of the Republican State Enterprise "Kazakh Tulpary" in the city of Kostanay. The laboratory gave an opportunity to improve breeding work which is aimed at creation of a new horse breed — Kazakh riding horse. 21 years ago astronauts Toktar Aubakirov and Talgat Musabayev were awarded the title of "Khalyk kaharmany"
21 years ago by the Decree of the President of the Republic of Kazakhstan Nursultan Nazarbayev astronauts Toktar Aubakirov and Talgat Musabayev were awarded the title of "Khalyk kaharmany".